Learn all about wrongful death claims in Arizona: what they are, who can file a claim, and what damages are recoverable. Wrongful death lawsuits differ from other personal injury lawsuits. Only certain people can file wrongful death lawsuits and the damages are calculated differently. If a person is injured as a result of another person’s negligent or wrongful act, the injured person can file a personal injury lawsuit and recover damages. 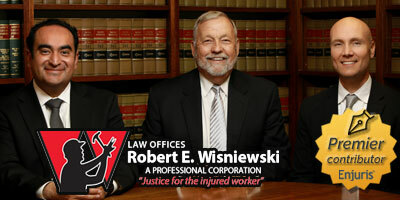 But what happens if the injured person is killed as a result of a negligent or wrongful act? Arizona allows certain family members to step into the shoes of the deceased and file a wrongful death claim. The claim is meant to compensate the surviving family members for the losses they suffered as a result of their loved one’s death. Arizona, like most states, has a complicated wrongful death statute. Let’s clarify the issues surrounding wrongful death actions in Arizona. When a surviving family member files a wrongful death claim, they essentially step into the shoes of the deceased. As a result, the family member has to prove liability the same way the deceased would have had to prove liability had they survived the negligent or wrongful act. For example, if the deceased was killed as a result of a person’s negligence, the surviving family member would have to prove the elements of negligence (i.e., that the person owed the deceased a duty, the person breached the duty, and the breach caused damage to the deceased). How are damages calculated and distributed in a wrongful death lawsuit? In a wrongful death lawsuit, the jury or judge awards damages that are "fair and just" by looking at the losses (financial and emotional) the surviving family members have experienced as a result of the death. As you can imagine, it’s difficult to put a price tag on many of these losses. For this reason, the judge or jury is also likely to take into account the financial dependency of the survivors, the future earnings of the deceased, and the nature of the injury. Once the judge or jury comes up with a total amount of damages, the family members decide how to distribute the money amongst themselves. If the family members can’t agree, the court will decide how the money should be distributed. Importantly, the damages recovered in a wrongful death action aren’t subject to the debts or liabilities of the deceased, unless the action is brought on behalf of the decedent’s estate. In other words, if the spouse, child, parent or guardian are awarded damages, no portion of the damages will need to go toward paying off any debts that the deceased might have left behind. How do I file a wrongful death case in Arizona? A wrongful death case will be filed in the same manner as the deceased would have filed their lawsuit had they survived. An experienced attorney will take care of these details. But, in brief, you’ll have to file the lawsuit in the appropriate court and give proper notice of the lawsuit to the party you’re suing. From there, the party you’re suing will have an opportunity to respond and the court will set the dates for hearings. How soon after the death does a wrongful death case have to be filed? In Arizona, a wrongful death case has to be filed within 2 years of the date the plaintiff discovers (or with reasonable diligence should have discovered) the deceased person’s death. If the case isn’t filed within this time limit, the court will likely dismiss the case. Dealing with the death of a loved one and simultaneously pursuing a wrongful death claim can be extremely difficult. In addition to the complex legal issues that you may face, you’ll likely be grieving and focused on on the natural fallout from your loved ones death. An attorney experienced in Arizona wrongful death actions can help ease the burden and get you the compensation you deserve. If you haven’t found an attorney yet, check out our Arizona law firm directory.